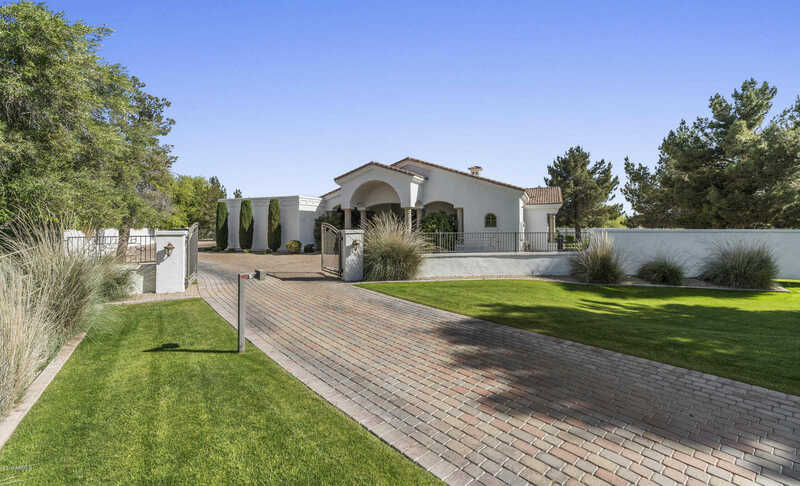 This grand craftsmanship estate is nestled on just over an acre right in the heart of Paradise Valley! Home is situated in a quiet cul-de-sac with its own private gated entry! Beautiful Tuscan inspired design with the highest quality materials. Imported Italian cabinetry, tumbled travertine, granite tops, 8 ft. alder doors and custom shutters. Refrigerated wine cellar, media/game room with full wet bar. Enjoy your beautifully landscaped backyard while enjoying the unobstructed views of Camelback Mountain from your putting green or while shooting hoops from the sport court! Cool off on a warm summer day in your large pool and peaceful serene water features. Doesn’t get much better…Welcome to your new home with all the amenities and in a fantastic PV neighborhood! Directions: Scottsdale Rd. North past Doubletree Ranch to Berneil WEST to this gorgeous property! Approximate size: 43574.00 sq. ft.